Assume you found one or two pr of shoes and shirts to brighten your backpacks. How is hording for souvenirs going? Did u give up on shot glasses … they get pretty heavy. I remember Grandpa and I eating in a Saigon restaurant and our guide taking out a brick size wad of paper money to pay for us and a few others. Is it still like that? We were told not to wear even silver jewelry and crossing the wide streets with all those bicycles was a challenge. We were in a lovely floating hotel in Saigon. The trip to Hanoi (an industrial, smokey gray city & visiting the war zone tunnels was a disquieting experience to say the least). Viet Nam was only open for tourists a few years & anti-American sentiment was strong. Grandpa and I were the only Americans we saw in Hanoi. Can’t wait to hear all your stories. Any plans to come home yet ? A bit weary or still fascinated by the specialness of every culture … or a bit of both ?? Do they have American size 9 shoes for women?? 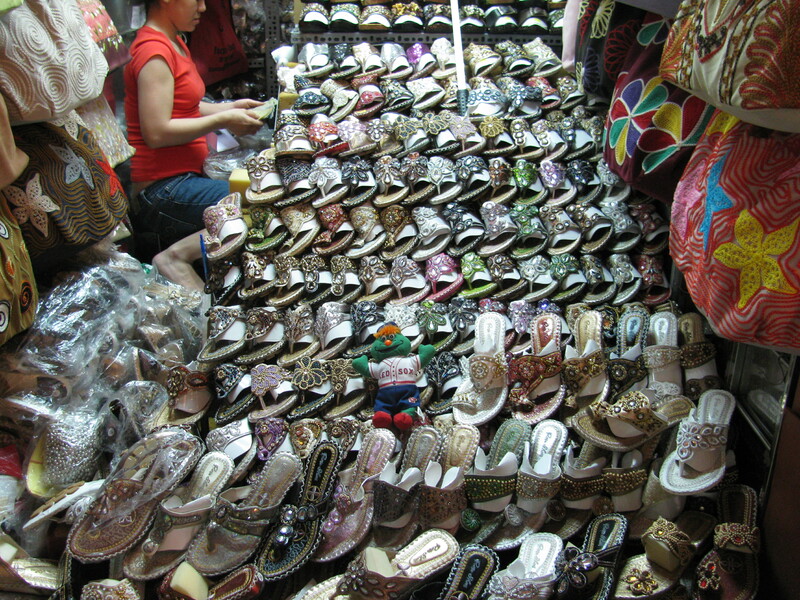 Luckily, the Vietnamese understand that Western women have bigger feet than them and make shoes accordingly. Unfortunately, it doesn’t seem that they have extended that sentiment to women’s underwear.